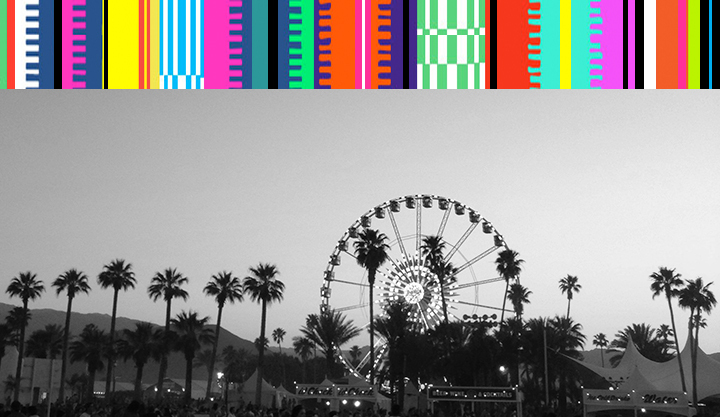 Our annual party guide is back, with details on the daytime events, pool parties, evening soirées and after hours spots going on in the Coachella Valley this festival season! It’s a mix of VIP/invite-only events and those that are open to the public via RSVP or by purchasing tickets, with the specifics for each party outlined by day below. We’ll continue updating the guide as more event information is available. Have a tip, info or invite you want to share? Send them to press@palmspringsstyle.com! When: Thursday, April 13, 9 p.m.
What: Party crew The Do-Over brings a caravan of mystery DJs to the Amigo Room for a Desert Gold warm-up. When: Friday, April 14, 2-6 p.m.
What: The afternoon will feature music by DJ Yasmin and “Floato-Ops” with custom FUNBOY x Smashbox Metallic Lip Floats, as well as festival glam with hair by Bumble & Bumble. What: Foray Collective and Vampped present Desert Oasis, hosted by Emily Ratajkowski with DJ sets by Brody Jenner, Madds and Devin Lucien. What: Victoria’s Secret Angels Jasmine Tookes, Martha Hunt, Alessandra Ambrosio, Taylor Hill and Josephine Skriver will host a private soirée with DJs and beauty stations. When: Friday, April 14, 3-6 p.m.
What: Hyde and Who What Wear are hosting the Hyde Away, sponsored by Hudson and featuring appearances from Republic Records’ “Class of 2017,” including Hailee Steinfeld and Justine Skye. What: Desert Gold — Ace Hotel’s oasis during Coachella with partner B&O by Bang & Olufsen — is set for another edition of cosmic, sun-soaked bliss. Notching up the party vibes weekend one are NTS Radio and The Do-Over. * B&O Pop-up in the Clubhouse, 11 a.m. – 6 p.m.
* NTS Radio in the Amigo Room, 10 p.m. – 2 a.m.
What: Camping, music, horseback riding, fishing and festivities all weekend at the Village’s new waterfront location amongst VIP athletes, musicians, models, artists and influencers, hosted by Vestal. Sets and performances to be announced! When: Friday, April 14, 10 a.m. – 5 p.m.
What: REVOLVE and Billboard have teamed up to present #hotelREVOLVE at ARRIVE in Palm Springs, featuring a REVOLVE festival pop-up shop all weekend, which is open to the public, with brands including For Love & Lemons, Beach Riot, Lovers & Friends, House of Harlow 1960, Majorelle and more, as well as curated #REVOLVEbeauty kits with products from OUIA, ColourPOP, R+Co, Evian Water and more. When: Friday, April 14, 11 a.m. – 6 p.m.
Yoga with Gigi Snyder, presented by Newestra and Genius Loci. When: Saturday, April 15, 10 p.m.
What: Neon Carnival, the most sought after late night event during the festival, returns for its eighth consecutive year, with Levi’s as the title sponsor and Tequila Don Julio is back to provide the specialty drink experience. This year, partygoers can expect new rides and games, sponsor activations, and sounds by DJs including Kayper, Politik, Jesse Marco and DJ Ruckus. What: On April 15th and 16th, Bumble presents the first ever Winter Bumbleland event in Rancho Mirage, bringing “Aspen Chic to the Desert Heat” with an ice bar, snow tubing, glacier pool and an igloo experience. Winter Bumbleland Day One will be hosted by Kendall and Kylie Jenner, with music from SIMIHAZE. What:Desert Gold — Ace Hotel’s oasis during Coachella with partner B&O by Bang & Olufsen — is set for another edition of cosmic, sun-soaked bliss. Notching up the party vibes weekend one are NTS Radio and The Do-Over. B&O Pop-up in the Clubhouse, 11 a.m. – 6 p.m.
NTS Radio live broadcast poolside, 12-6 p.m.
NTS Radio in the Amigo Room, 10 p.m. – 2 a.m. 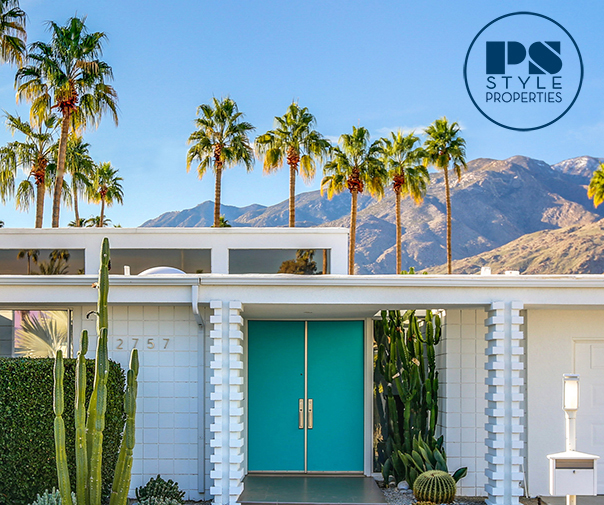 When: Saturday, April 15, 1 – 5 p.m.
How to attend: Invite only, but we’re giving away two passes later this week on the Palm Springs Style Instagram account, so be sure you’re following @palmspringsstyle for the upcoming announcement on how to enter! When: Saturday, April 15, 1 p.m.
What: The Zoe Report is teaming up with brands including House of Harlow and Miansai for a stylish event. When: Saturday, April 15, 12-5 p.m.
What: Day two of the Hyde Away will will feature poolside DJ sets from Joe Jonas and Giorgio Moroder and food by Umami Burger. When: Saturday, April 15, 1 – 4 p.m. When: Saturday, April 15, 10 a.m. – 5 p.m.
What:REVOLVE and Billboard have teamed up to present #hotelREVOLVE at ARRIVE in Palm Springs, featuring a REVOLVE festival pop-up shop all weekend, which is open to the public, with brands including For Love & Lemons, Beach Riot, Lovers & Friends, House of Harlow 1960, Majorelle and more, as well as curated #REVOLVEbeauty kits with products from OUIA, ColourPOP, R+Co, Evian Water and more. What:REVOLVE and Billboard are hosting day parties on both Saturday and Sunday filled with brand activations, special guests and performances. Billboard’s Artist Lounge, where the trade will conduct artist interviews, will also be set up within the Revolve Festival. An exclusive late-night party, Desert Nights, will also take place at a secret location. What: Jeremy Scott’s annual celeb-filled bash is back, hosted by Moschino. When: Saturday, April 15, 11 a.m. – 5 p.m.
What: The American Express Platinum House will be open exclusively to Platinum Card members, featuring Soul Cycle classes, DJ sets by Hannah Bronfman and performances by Bebe Rexha. When: Saturday, April 15, 12-6 p.m.
What: Lucky Brand is hosting a poolside event at Ingleside Inn in Palm Springs, featuring a performance by Noah Cyrus, Miley’s younger sister. The Do-Over in the Commune, 12-6 p.m.
What: On April 15th and 16th, Bumble presents the first ever Winter Bumbleland event in Rancho Mirage, bringing “Aspen Chic to the Desert Heat” with an ice bar, snow tubing, glacier pool and an igloo experience. Winter Bumbleland will be hosted by Ashley Graham on Sunday, with music from Hannah Bronfman. When: Sunday, April 16, 11 a.m. – 5 p.m. When: Sunday, April 16, 12-6 p.m.
What: Lucky Brand is hosting a poolside event at Ingleside Inn in Palm Springs, featuring special surprise performances. When: Sunday, April 16, 10 a.m. – 5 p.m.
What:REVOLVE and Billboard have teamed up to present #hotelREVOLVE at ARRIVE in Palm Springs,featuring a REVOLVE festival pop-up shop all weekend, which is open to the public, with brands including For Love & Lemons, Beach Riot, Lovers & Friends, House of Harlow 1960, Majorelle and more, as well as curated #REVOLVEbeauty kits with products from OUIA, ColourPOP, R+Co, Evian Water and more. What:Nylon is hosting a poolside happy hour with brand activations and DJ sets. When: Thursday, April 20, 9 p.m. When: Thursday, April 20, 9 p.m. to 2 a.m.
What: The Lucent Dossier Experience with Minnesota is an evening of music, performances, singers and out-of-this-world beings that will transport attendees to new dimensions as they explore the curiosity of worlds between worlds. Lucent Dossier Experience has been a staple on the polo fields at Coachella for the past 11 years, and now the interactive experience is moving to TheBank venue in Palm Springs. What: Belvedere x Noisey: Behind the Scene will highlight the hottest music scenes, breakthrough artists, and what’s to come for the industry, with a live performance by DJ Esco. How to attend: Open to hotel guests and the public as space allows. What:Desert Gold — Ace Hotel’s oasis during Coachella with partner B&O by Bang & Olufsen — is set for another edition of cosmic, sun-soaked bliss. Notching up the party vibes weekend two are Desert Daze, A Party Called Ron McNair, Bears in Space, and The Do-Over. Desert Daze Presents The Babe Rainbow (live music) in the Amigo Room, 10 p.m. – 2 a.m. When: Saturday, April 22, 2-6 p.m.
What: Bootsy Bellows and McDonald’s return this year, but now on the second festival weekend. The event will feature DJ Yung Taco and music performances throughout the event while guests lounge by the pool and enjoy McDonald’s menu items. A Party Called Ron Mcnair presented by B&O, poolside 12-6 p.m.
Bears in Space in the Amigo Room, 9 p.m. – 2 a.m.
Bears in Space, poolside 12-6 p.m.